Our kindergarten is open during the summer. Children ages 3-7 and also those attending elementary school are welcome.! Childhood is a carefree time and a wonderful period of life for everyone. This is the time when a child starts exploring the world and receives his or her first life experiences. Parents want that period to be the happiest for their child so sometimes they wonder "How can I help my child be more confident? How to diversify child's leisure?". Many parents chose to take their children to kindergartens where professional teachers help the parents to teach, educate and develop? their child. And so the question rises up : "What institution should I choose for my child?". The simple answer would be home kindergarten "Domovenock". In our kindergarten your child will feel at home and will be under constant care of our qualified teachers who will introduce your child to the new exciting world and help adapt to the new environment. Our kindergarten has a special teaching program which aim is to identify and develop children's abilities and talents. Our aim is to generate important life values like self-discipline, self-control and ability to communicate with the world. Our teachers will help your children to reach their potential and will bring up the moral and aesthetic qualities. Our network consists of 5 "at home" kindergartens with up to 10 children in each. So the maximum attention from our teachers to your child is guaranteed. In our kindergartens your children will be always cared for and be able to spend time in comfortable, well organised playrooms. Welcome to our kindergarten "Domovenock" , a place where harmonious development of a child is highly appreciated. needlework, work with natural materials, DIY. Our kindergartens are located in converted apartments, so you don't need to spend much time traveling as one of them may even be in your building. All of the apartments are located in family-friendly, peaceful areas of the city. Courtyards are safe and quiet and provide everything your child needs. Our kindergarten is operating year-round from 8 am - 6 pm. Parents can freely pursue their career or business. Year-round mode enables you to manage your time so you don't have to adjust to kindergarten. During the whole day a child lives in a rhythm of alternation of quiet and mobile activities. There are group classes as well as individual which help your child to get used to the kindergarten regime gradually and painlessly. Providing safety and health to your child. conducting training activities for kids to learn about the rules of safety of life and health . The teaching staff of the highest category with enormous experience. Only qualified and competent teachers , with a friendly attitude to children , creating an atmosphere of love, care and warmth can be a unique alternative to the governess. Excellent methodical and material technical base set up in the walls of the private kindergarten in Moscow " Domovenok " , which developing environment allows children to learn the world only in bright colors. Special training and education allows kids to explore and learn about the world , to take the initiative and develop their talents. Implementation of the program of domestic appliances and intellectual development, can help a child properly and comfortably adapt to the realities of life. The main task of teachers is to give your child a happy childhood, without burdening his or her early study of the exact sciences, and giving the opportunity to develop creatively. Only an individual approach to the peculiarities of each child brings the best results in the education of children. Waxwork, needlework, songs, stories, games, cooking salads, drawing, celebrating themed holidays and much more allows kids to always be at the center of exciting events and explore the world in the game form. To make one's child education the most successful , teachers hold regular joint activities with parents. 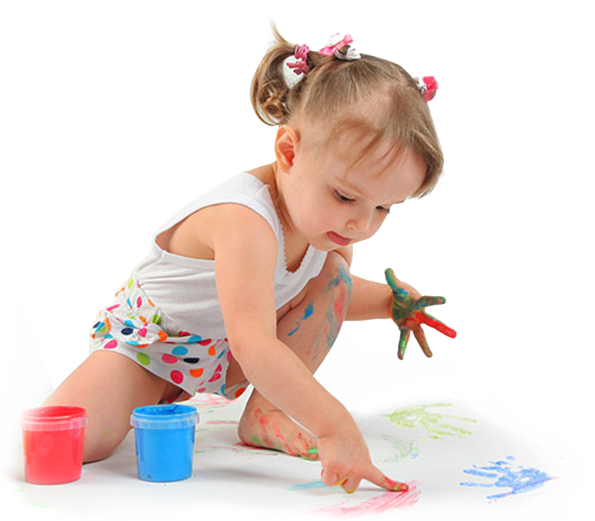 Parents participate crafts and holidays preparations, which creates an atmosphere of trust and cooperation. Your child will feel loved and cared for. We are waiting for you and your children!